JARED Leto "laughed out loud" at random people in the streets to prepare for his role in 'Suicide Squad'. The 44-year-old singer and actor plays The Joker in the hotly anticipated film and has revealed he had to experiment to perfect the character's iconic laugh. When asked how he perfected his laugh on Good Morning America, he said: "A lot of experimentation. I remember wandering the streets of New York and in Toronto where we were shooting, and I would just laugh out loud and see how people would react to it. Every time when I started to hone in on this laugh, I realised it was the one that really, people would turn around and be like, 'What the hell is that?'" 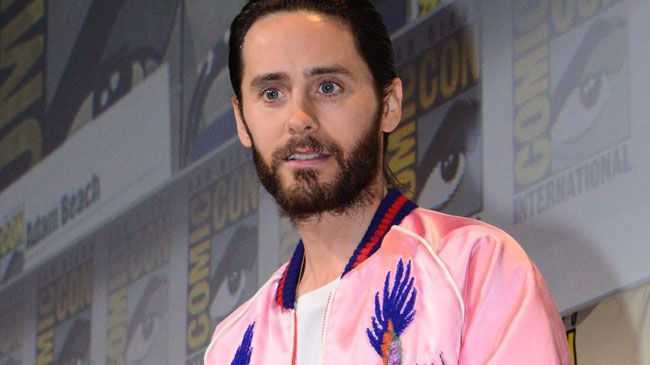 Meanwhile, Jared's co-star Margot Robbie previously praised the 'Thirty Seconds to Mars' star, revealing it was "exciting" starring alongside him in the film. Referencing the incident when he sent her a rat in the post, she told ShortList magazine: "I was ... surprised. I was surprised! There's an understatement! I loved that stuff. Jared was doing half my work for me. "Harley [Quinn, her character] is very much a part of a relationship. To have such commitment from the other half made my job a thousand times easier, and a thousand times more fun. I didn't know what was going to happen when we got on set. It's exciting to act opposite that." And Will Smith also opened up about how Jared "kicked everybody into another level" with his bizarre gifts. He added: "Jared was really the first person that like really kicked it into another gear. So we were rehearsing. He was working separate, so the Joker was working separate. So one day there's a knock on the door, and this guy walks in, this tough looking guy walks in, he says, 'I've got a message from Mr. J.' He puts a box down on the table in front of Margot. He says, 'That's a gift from Mr. J, in honour of your relationship.' I was like, 'Oh Mr. J, OK, OK.' So Margot starts to open the box, and there was a note [and a live rat], and it was from 'the Joker' ... So for the whole movie, that's the kind of stuff Jared was doing. He really kicked everybody into another level."